Majlis Khudam ul Ahmadiyya and Majlis Atfalul Ahmadiyya Australia held their 33rd national Ijtema at Masjid Baitul Huda Sydney from Friday 30th September to Sunday 2nd October 2016. Ijtema began with flag hoisting and Dua by respected Ameer & Missionary In-Charge Jamaat Ahmadiyya Australia. 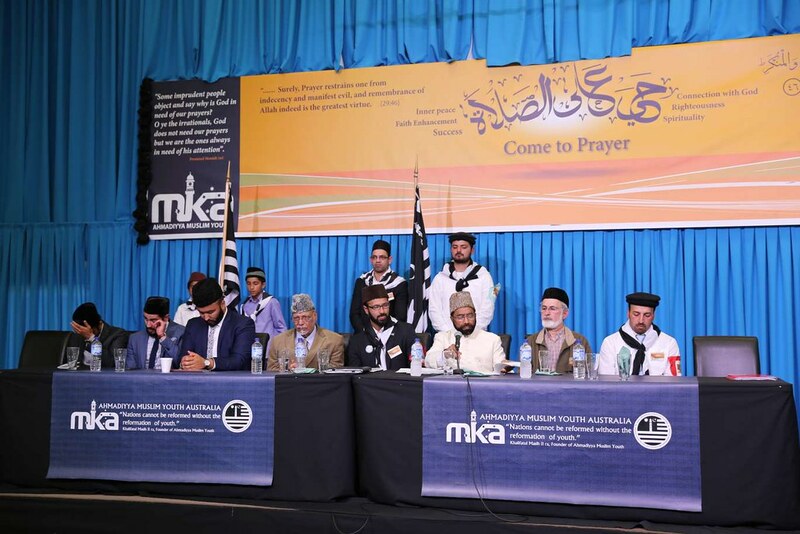 As this year the theme of the Ijtema was Importance of Salaat, a strong emphasis was laid on Namaz in congregation in the opening address by Respected Sadr Majlis Khuddamul Ahmadiyya, Waqas Ahmed sahib which included instructions by Hazrat Khalifatul Masih V (may Allah be his helper) to Khuddam of Australia on importance of offering 5 daily prayers and prayers in congregation. Two Tarbiyyati sessions were also conducted in which respected Imam Wadood Janood Sahib spoke on the importance of Salaat in congregation and Imam Kamran Mubashir Sahib spoke on the importance of offering Waqf i.e. dedication to Jamaat. In addition to these sessions Tarbiyyat Huddles were arranged prior to starting each sporting event followed by silent prayer. In these huddles excerpts of recent Friday Sermons delivered by Huzur e Anwar (may Allah be his helper) were read out and Khuddam and Atfal were reminded to act on advices given by Huzur e Anwar (may Allah be his helper). For Khudam a total of 10 academic competitions were conducted which included 3 team and 7 individual competitions. 14 sports competitions were conducted for Khuddam which included 6 team and 8 individual competitions. The new events introduced at this year’s Ijtema included Archery, 3 on 3 basketball, strongman and 4 X 100m relay competitions. A BBQ cooking competition and tent decoration competitions were also introduced this year. For Atfal 9 Academic competitions were conducted which included 2 team and 7 individual competitions. 5 sports competitions were conducted including 4 team and 1 individual competitions. 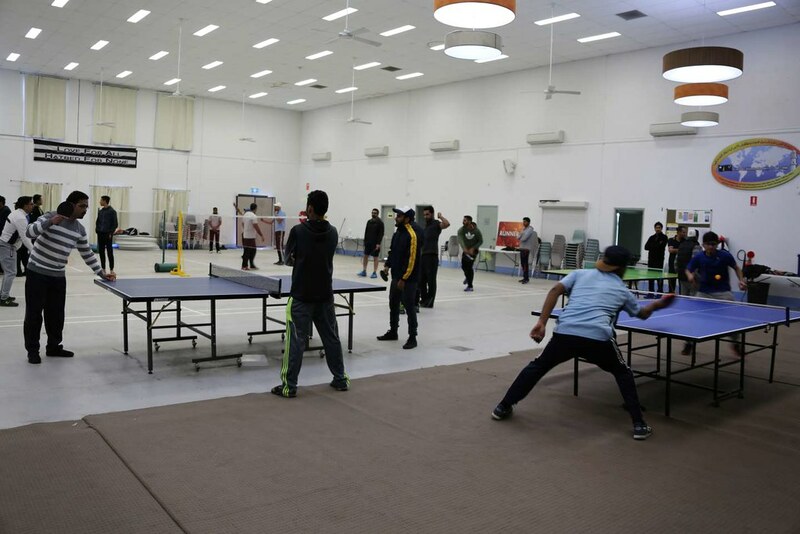 A sports marquee consisting of Pool, Foosball, Air hockey was also arranged to cater for those Khuddam and Atfal who don’t usually participate in traditional sports such as cricket, football and volleyball. A study area with internet and printing facilitates was provided for Khuddam and Atfal who needed a quote space to study for their exams and complete their assignments. A Bonfire session was held on Saturday evening with Respected Ameer sahib where Khuddam and Atfal read their favorite poems while enjoying the BBQ. For the first time the Bait Bazi competition was arranged in open air around the Bon Fire which was followed by Flood light Football competition. A Health & Safety session covering the use of fire extinguishers at mosques and namaz centres was also conducted to educate members on how to react in case of fire emergencies. Book stall and Khuddam-ul-Ahmadiyya merchandise stall were also set up during the entire Ijtema. First Aid desk was also set up during the ijtema in which 49 Khuddam and Atfal were given first aid by the team. In concluding session Respected Ameer Sahib distributed prizes among Khudam and Atfal and delivered the concluding address. Ameer Sahib emphasised the importance of offering five daily prayers on all Khuddam and Atfal. PreviousPauline’s back at it again!